CMD is delighted that our Convertible Courtyards House has been shortlisted in two categories at the Australian Timber Design Awards. In addition, we need your help to help build some street cred! As a young practice, recognition within the industry goes a long way in allowing us to gain the commissions that we’re most passionate about. 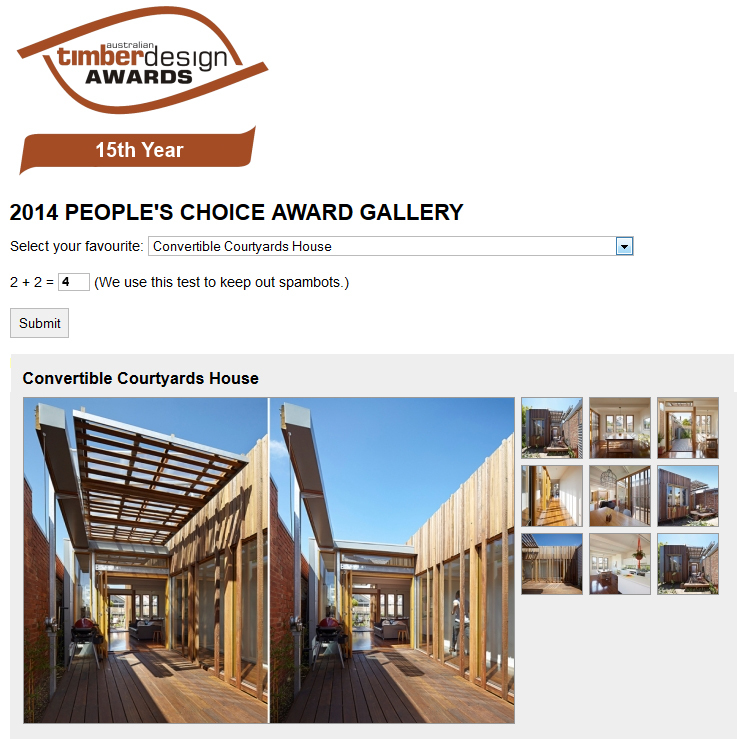 Please do us a solid and vote for the Convertible Courtyards House in the People’s Choice Awards. We’ve filled in the answer to the tricky math below so you have no excuse not to vote. Just wanted to let you know we are loving the design of the house – and the house itself. Morning three back at Woods Street has come and gone and we can’t believe that it turned out so well. 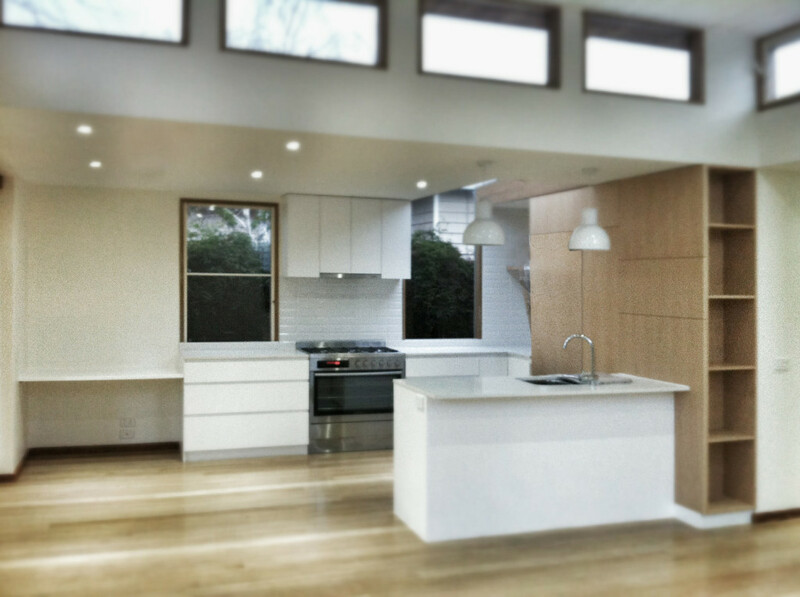 Few things make us happier than hearing that our client is happy at the end of a project. 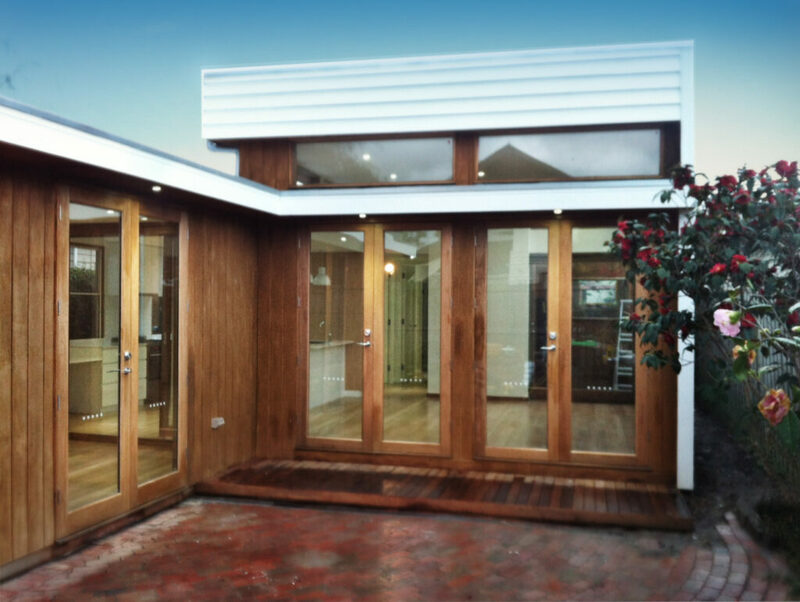 Below are a couple of happy snaps of the finished product, hopefully we can get in and take some higher quality photos in the next few months.